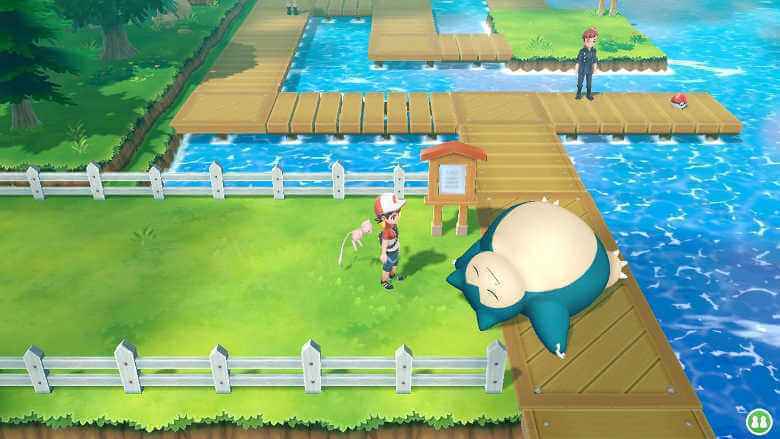 Similar to the other Pokemon games, you can also find a sleeping Snorlax blocking the way in Pokemon Let’s Go. If you’re wondering how to wake him up, here’s a guide that will help you. Unlike the other Pokemon that you can just run into them to start the encounter and battle, that won’t be happening with the sleeping Snorlax. First, you need to wake him up before continuing the encounter. To wake up Snorlax, you have to use the Poke Flute. This item is only obtainable as you progress through the story of the game and not an item that you can just buy. To get Poke Flute, first, you need to defeat the Team Rocket boss located at the hidden game corner at Celedon City. Defeating him will reward you a Silph Scope. After obtaining the Silph Scope, go to the Pokemon Tower at the top floor in Lavander Town and save Mr. Fuji. After saving Mr. Fuji, you have to follow him until he reaches his house. He will then reward you with the Poke Flute that you can use with Snorlax. Now that you have the Poke Flute, go back to the sleeping Snorlax at Vermillion City, and play it to wake him up. Want more of Pokemon Let’s Go Pikachu and Let’s Go Eevee guide? You might want to check Pokemon Let’s Go guide directory.